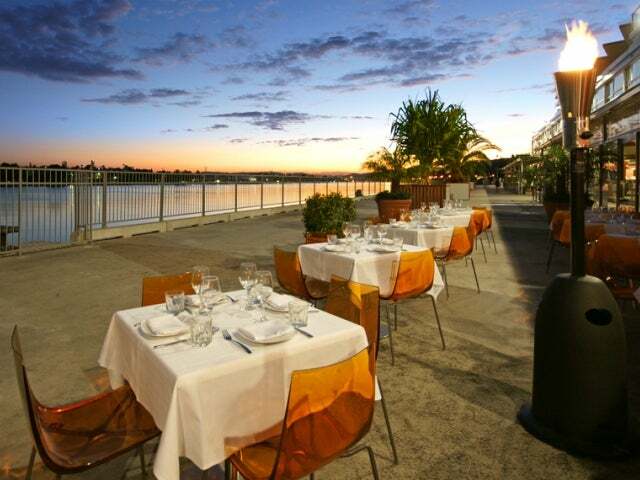 Located in Brisbane’s new Cruise Ship Terminal, this place is something of a surprise. It’s visually striking space, warm and inviting, yet undeniably stylish. The bar area is decked out in harem fashion – lots of cushions to recline upon – a style which chimes with the restaurant. The food is a mixture of modern Lebanese and Mediterranean flavours and the cocktails are wicked little things (the Violet Martini is utterly divine). The view out over the water adds to the atmosphere, especially as the sun starts to set.